Small forward who played for the Dallas Mavericks, Washington Wizards, Utah Jazz, and Minnesota Timberwolves after joining the NBA in 2003. 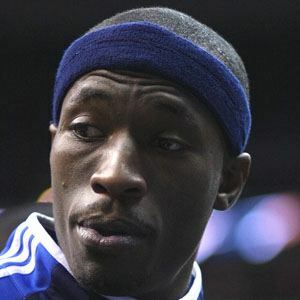 He was the ACC Player of the Year with Wake Forest before being drafted 29th overall by the Dallas Mavericks in 2003. He had one of his best seasons in 2007 with the Mavericks, when he was named to his first NBA All-Star team. He and his brother Steven were raised in Winston-Salem, North Carolina. He helped lead the Mavericks to the NBA Finals in 2006 where they were defeated by Dwyane Wade and the Miami Heat in 6 games.